The program was launched by Telangana Chiefminister KCR on 3 July 2015. 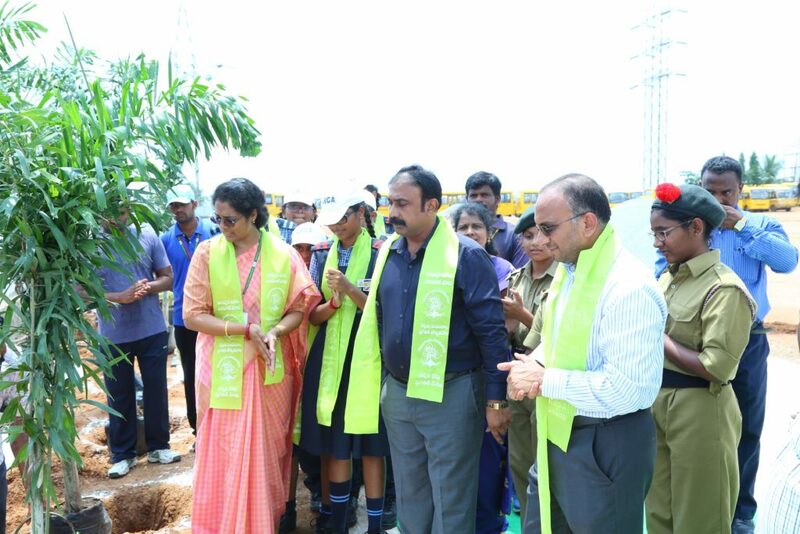 It is one of the Telangana Flagship programmes which also known as Telangana ku Haritha Haram to rejuvenate degraded forests, protecting these forests from threats such as smuggling, encroachment, fire and grazing. 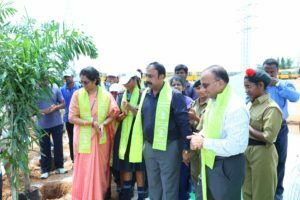 It adopted intensive soil and moisture conservation measures based on a watershed approach. In the areas outside the existing forest, massive planting activities were to be taken up in areas such as; road-side avenues, river and canal banks, barren hills, tank bunds and foreshore areas, institutional premises, religious places, housing colonies, community lands, municipalities and industrial parks. National Forest Policy of India envisages a minimum of 33% of the total geographical area under forest cover to maintain environmental stability and ecological balance, which is vital for the sustenance of all life-forms, be it human, animal or plant. Global Indian International School, Uppal Campus, Hyderabad. PARASAILING IN GIIS on 8th January, 2019.